If you’ve read my blog at all, you probably know just how cheap I really am. When I started to rebuild my apiary, I started off repairing old rotted boxes. When I ran out the old boxes, I began building boxes from pallets. Eventually it became a point of pride that I could build my business without taking money from my household budget. Now that my hives are making a little money, I am reinvesting it. 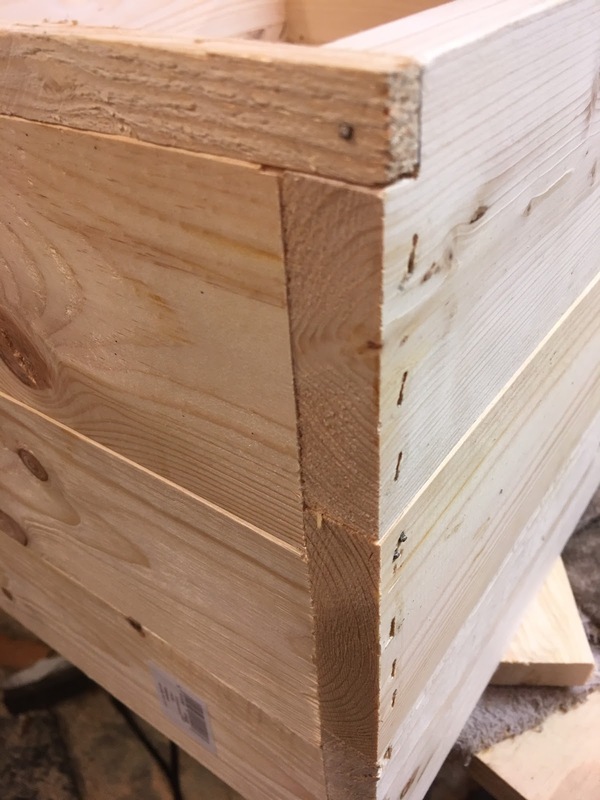 I have finally upgraded to building hives with “store-bought” lumber but 1X12-8′ are more than $16 each and only make a single super. You will have to stagger your joints. I found a really easy way to do this. 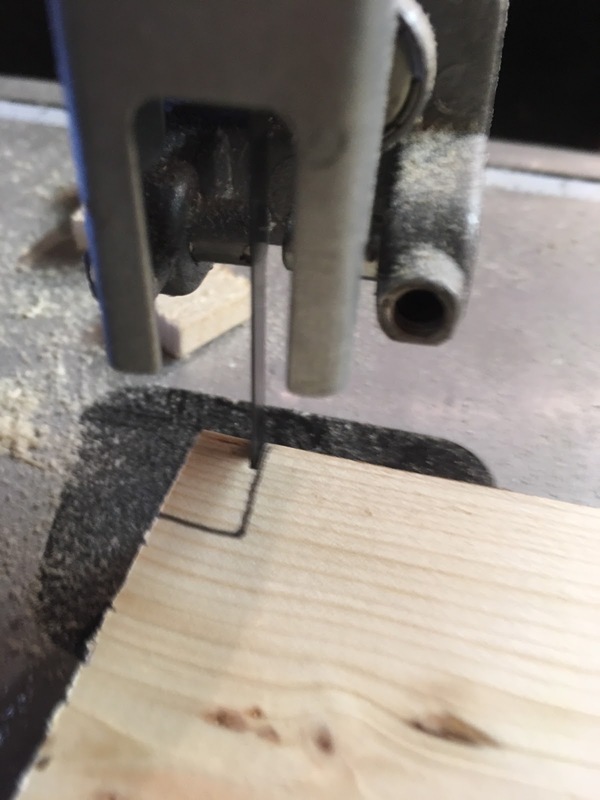 Using some scrap wood, cut two strips per super that are 3/8″ X 5/8″ X 16 1/4″. 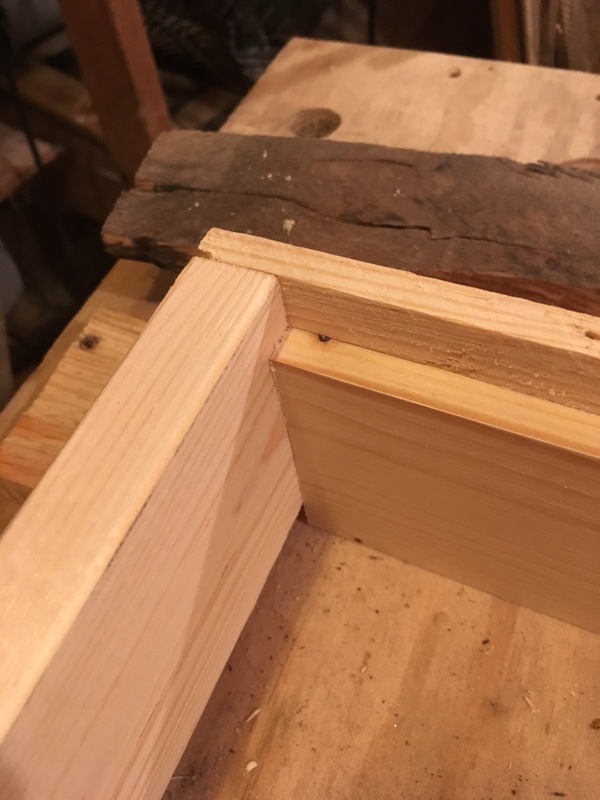 Next, on two of your 19 7/8″ pieces cut a notch in both ends that is 3/8″ X 5/8″. Assemble these two pieces to the strips. From here on all you have to do is glue and nail the rest of the boards in place. When the whole thing is assembled. Set your table saw to 9 5/8″ and trim the bottom of the super. This will make a nice square bottom. 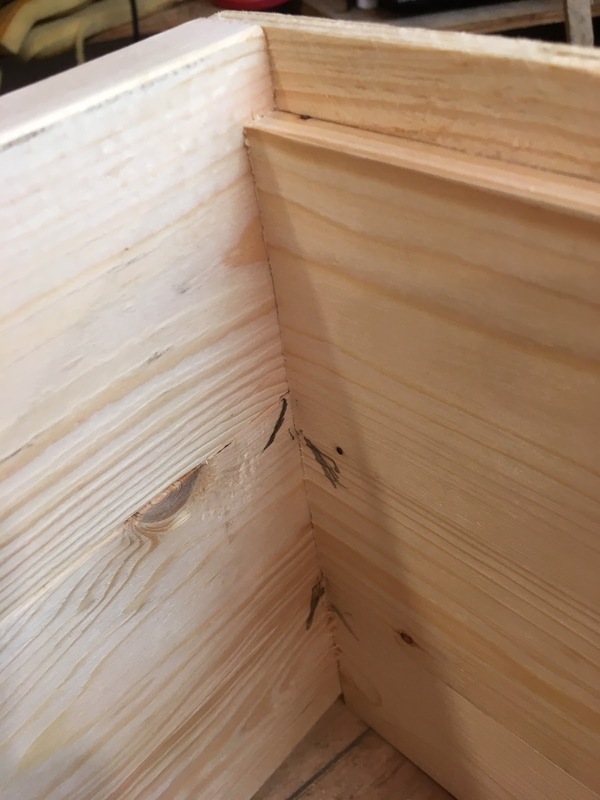 Lastly, place a handle 1X2-4″ on each end of the box so that it overlaps the top two end boards. That’s it. It took me about an hour to build each super. I need 200 supers for next year, so that means 200 hours of work just on the boxes. I think a little part of me just died.